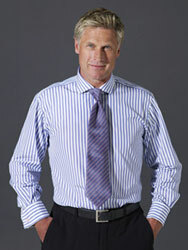 W.H.Taylor shirtmakers have taken the plain white poplin and made it a little more interesting. This fashion end of the stripe blends a superb contrast of white on white. 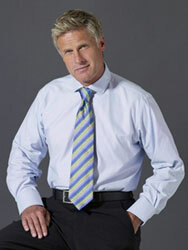 Wear it as a dress shirt for business or open necked for after work socialising.